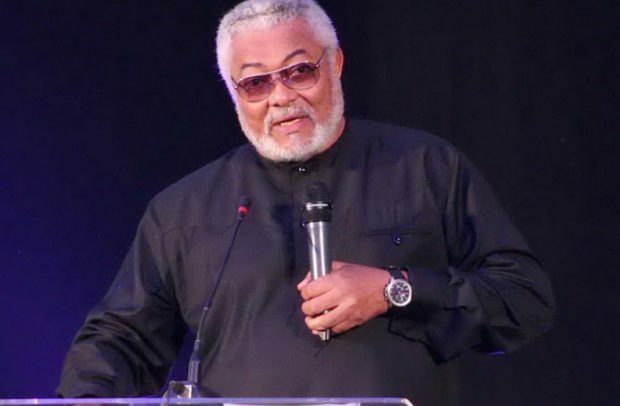 Former President Jerry John Rawlings has charged delegates of the National Democratic Congress (NDC) who will elect regional officers this weekend to reject candidates who will approach them with money in order to gain their votes. According to Mr Rawlings, who is founder of the NDC, the time has come for the delegates to reject individuals who are interested in leading the party for their own selfish interest. The NDC founder, in a message sent to the delegates ahead of the election over weekend, said the delegates ought to listen to their constituents and elect persons of integrity who genuinely have the party at heart. Delegates of the opposition NDC from the 275 constituencies will today elect regional officers to lead the party at the regional levels across all the 10 regions. Ahead of the election, there have been several allegations of vote-buying, with many candidates who think they have very little chance of winning the polls doling out cash to win the votes of delegates. The former President subsequently said the development has the tendency to weaken the already struggling party which lost the 2016 general elections embarrassingly. A press statement signed by Mr. Rawlings urged the delegates to elect candidates who genuinely have the party at heart and avoid those with selfish agendas. “To ensure the consolidation and re-invigoration of our party, I urge delegates to listen to their constituents and elect persons of integrity who genuinely have the party at heart. “In the recent past, the monetization of our internal selection process has adversely affected the fortunes of the party. I therefore urge you to resist the influence of money and material inducements from those who are more interested in themselves and their selfish interests than in building a strong and effective party,” Mr Rawlings added. The former President also urged the rank and file of the party to take the destiny of the party into their own hands and reject those whose conduct and lack of genuine commitment have contributed to the weakening of the party. “Delegates must elect those who respect the essence of team work and who are principled, truthful and sincere. Let us establish through the outcome of our regional elections that we have learned from our recent past,” Mr. Rawlings added. Delegates will elect regional officers for the party to oversee the 2020 polls. About 134 candidates filed their nominations last month to contest the various positions at stake. Seventy-six (76) aspirants would vie for positions in the Greater Accra Region. Four people are gunning for the chairmanship position, with the incumbent Chairman, Joseph Kobina Ade Coker, being challenged by Alhaji Yahaya Kundow, Emmanuel Nii Ashie-Moore, a former Member of Parliament (MP) for Adenta and Daniel Amartey Mensah, former MCE for LEKMA. Former Minister of Transport, Dzifa Attivor, is battling it out with the incumbent Volta Regional Chairman, Gyapong Kwadjo. Ms Atiivor is said to be enjoying the support of former President John Mahama. He lost to his deputy, Mathias Alagbo. In the Eastern region, incumbent Bismarck Tawiah Boateng, is being challenged by Alhaji Sumaila Mahama and Basile Ahiable, both businessmen, and John Owusu Amankwa. In the Northern Region, it is an open race after incumbent Sofo Azorka decided not to seek re-election, leaving Alhaji Ibrahim Mobilla, incumbent regional organizer, Godfred Wumbie, Moses Bukari Mabengba, former Ambassador to Angola, Alhaji Osman, Alhaji Umar Farouk and Alhaji Mohammed Sumani Zakaria in the race.